The Governor-General, Quentin Bryce is to donate 100 bottles of premium wine from the Government House cellar for charitable purposes - and NFPs will need to apply! The Governor-General, Quentin Bryce is to donate 100 bottles of premium wine from the Government House cellar for charitable purposes – and NFPs will need to apply! 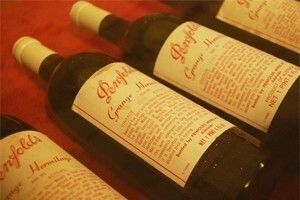 The Official Secretary to the Governor-General, Stephen Brady, says the Governor General will sign each of the 100 bottles of Penfolds Grange Hermitage. Brady says the cellar has grown over many years to incorporate some very fine bottles of wine, collected since the 1980’s during the terms of previous governors-general. He says Government House has had the cellar holdings assessed by a respected oenologist, who has suggested that some of the wines need to be consumed within the next few years, while others should be retained because of their longevity and historic value. Brady says accordingly, they have selected 100 bottles of Penfolds Grange Hermitage, including every vintage between 1985 and 1990, and the 1992 vintage, for donation. The 1985 vintage is the oldest wine in the collection. Brady says Government House has decided to retain a small number of signature vintages to be served at significant national occasions. He says there will also be a heritage selection cellared for use by future governors-general. Interested charities should apply to the Office of the Official Secretary requesting a signed bottle for their fund-raising purposes. To be eligible, they must be an Australian registered Not for Profit charity with an Australian Business Number and Deductable Gift Recipient status.